I reused my favorite Patterns for Pirates Jolly Raglan pattern for this shirt. Obviously I love the Raglan tee – I keep using it over and over! It takes me less than an hour to make one and it is so easy to whip up. I love that you don’t need to attach the front and back bodices together because it’s done through the sleeves. Plus, no curved sewing for the sleeves! (Can we say pet peeves? Anyone with me on this?) It’s a great standard for creating holiday tees, like the St. Patrick’s Day shirts I made earlier this year. All you need is holiday colored stripes for the sleeves and neckband, white for the body, add a fun HTV design on the front and voila! Perfect holiday tee! I should probably start thinking outside the box, but this is really nice to do in a pinch. The striped fabric used is from fabric.com. They have an excellent selection of knits and I have a hard time not buying all of them whenever I browse! This fabric was actually in my stash from when I made a wardrobe of maternity tops last year. It’s 4-way stretch, and I combined it with some white 4-way stretch I got in the remnants section at JoAnn. I have only used 2-way stretch knit with this pattern before so I wasn’t sure how it would go, but I turns out I prefer this look. The boys (and the cat) enjoy it quite a bit too! The only frustrating thing is the HTV I used started peeling after only a day of the boys wearing their new shirts. I used some basic black Iron-On from Cricut, and I think the problem is that it’s just not meant for stretch fabric. I need to get the Siser EasyWeed Stretch for my next project – I’m hoping this will help it stick better! Want to make your own “I love this land, y’all”? Maybe for a shirt, pillow, or even a mug? I’ve included the cut file for this (including SVG, PNG, and STUDIO3) in my free resources page. You can get it by clicking on the button below. I plan to make three more of these shirts before the 4th of July – one for my husband, me, and Mr. L, our baby. We’ll be celebrating Independence Day with fireworks, BBQ, parades, hot air balloons, great music, and anything else we can figure out how to fit in. What are you doing to celebrate? Are you planning any fun 4th of July outfits to wear for the day? Share in the comments below! I hope you enjoyed this make! Would you mind sharing it via Pinterest with the image below? Thank you! Love your little guys’ tops! I live in Louisiana, so everybody says “y’all” here! ???? Hopefully you’ll be able to figure out the peeling issue ???? This shirt is adorable! I just bought some American-themed shirts for my son yesterday, but they weren’t as cute as this! Thanks for the advice! It’s frustrating to spend time and money getting a fun design on the shirt only to see it peel off. Crossing my fingers Siser Easyweed will work fine! I love a basic tee and now I feel the need to try this one. I agree with you, though on changing up the colors and calling it a day. Especially if it’s a pattern you’re familiar with! I’m all about something quick, easy and cute for my little guy too! I don’t have on of those machines for the cute htv ???? but I love what you’ve done! 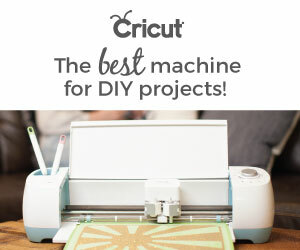 Oh I love love love my Cricut! It is possible to make fun designs without a cutting machine, but my goodness it’s my favorite toy right now. ???? Love the shirts you made. They look wonderful and love how you make them yourself. Ahhhh this is PRECIOUS! And those boys are SO sweet!!! Cute tee shirts, and adorable boys! I love having all my kids in matching July 4th paraphernalia — these fill the bill perfectly! Thank you! I love this country and all its diversity, too! The boys look adorable in their patriotic shirts. You did such a professional job on them!